I’ve been struggling a little bit with Meatless Monday in my house. I love how cleansing it is to eat meat-free once a week (or more, if I can stand it). But, I keep running out of ideas. After eating risotto for three weeks in a row, I decided it was time to switch it up. I also wanted to keep it grain-free, if possible, so I used all that zucchini from the garden and turned it into “lasagna” noodles. 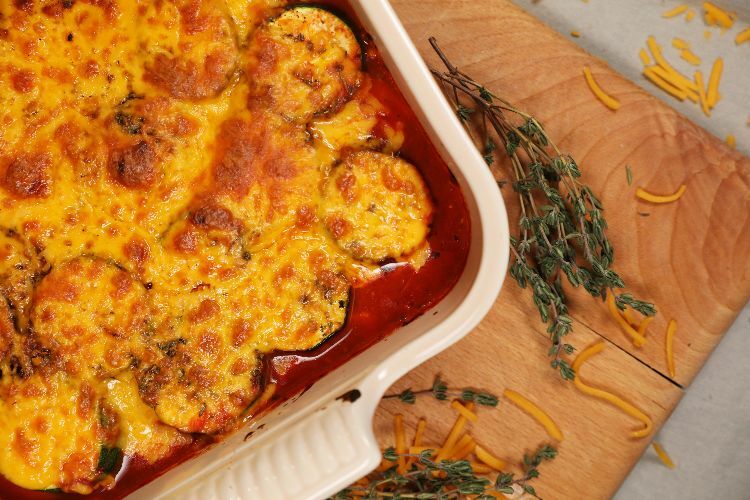 The recipe below is the perfect way to celebrate a meat free, gluten free meal! If you’re not into going meatless, you can add a pound of ground turkey to the marinara sauce to beef it up a bit. Or, you can top each layer of zucchini with cooked bacon slices (because who doesn’t love bacon?). I like to use cheddar cheese because it adds a nice sharpness to the dish, but you can substitute any cheese you have around. Preheat the oven to 350 degrees F. Grease an oven safe 9x13 baking dish with butter or cooking spray. 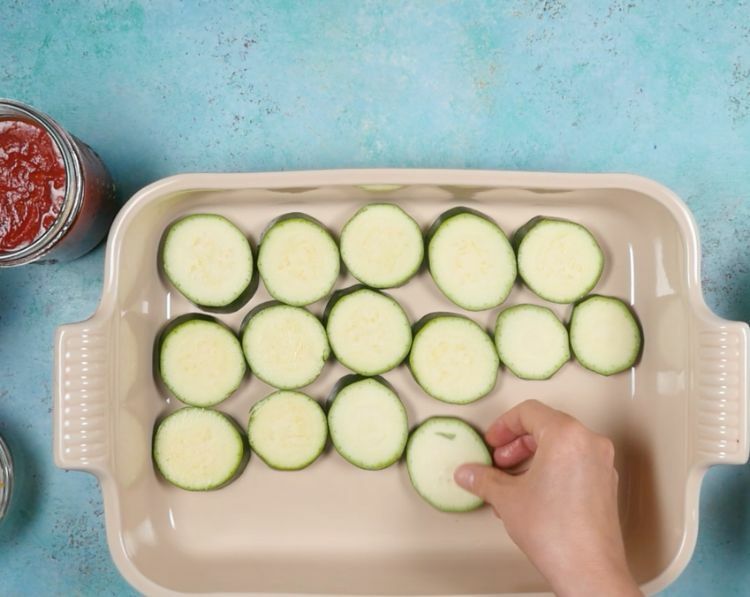 Lay half of the zucchini slices into the baking dish in a single layer. Season with salt and pepper, to taste. 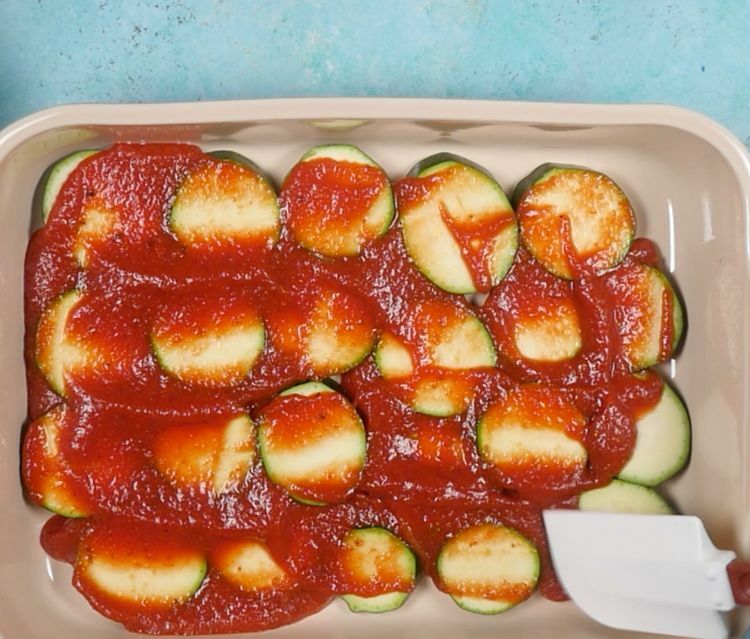 Cover the zucchini with just enough marinara to cover all of the slices. 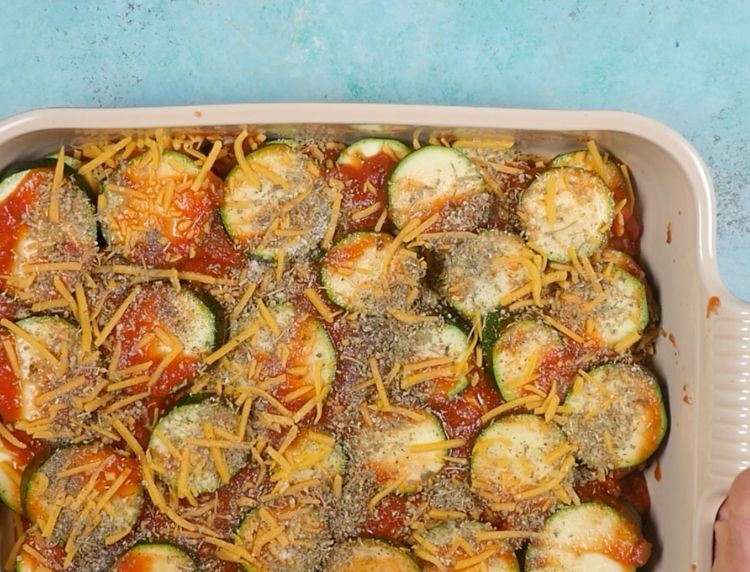 Repeat the layers with the remaining zucchini, marinara, and cheddar. 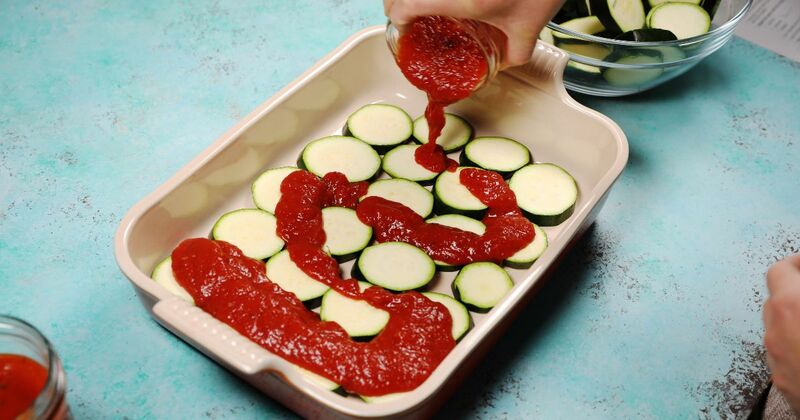 You may not use all of the marinara sauce. Top the final layer of cheese with the Italian seasoning. Bake for 35 to 40 minutes, until the cheese is melted and slightly browned. 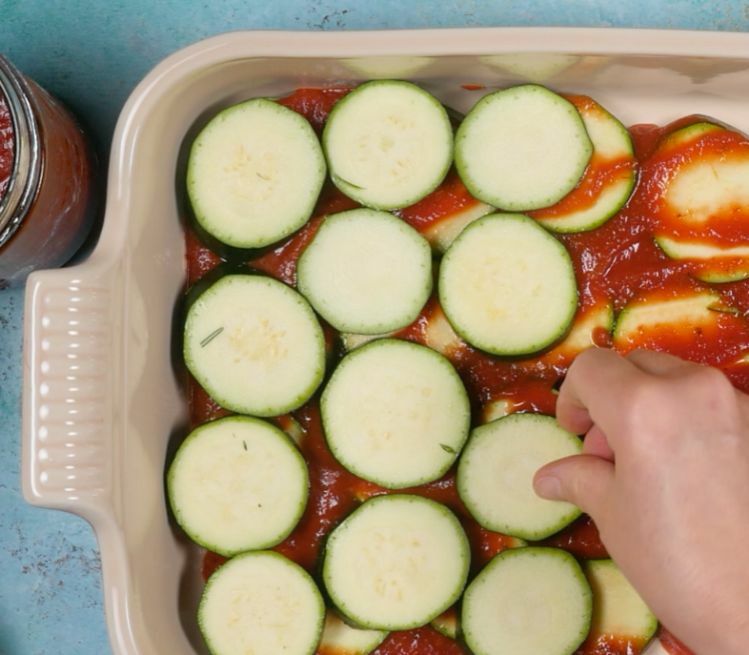 Allow the baked dish to cool slightly before slicing and serving.